Createspace Independent Publishing Platform, 9781508807995, 244pp. A Mysterious Letter.A Deadly Discovery.A World Like Nothing You've Ever Seen.All Daisy Darling wanted was to be a writer. What she got was more than she bargained for. As it turns out, the quaint little town of Sea Salt, California houses more than adorable cottages and huge redwood trees.Beneath the coastal charm rests a strange world where wizards, fairies, time-altering portals, and dark magic looms.A world where memories can be your greatest currency--and weapon.A world where you can never reclaim what's been taken from you.After stumbling into the mysterious world, Daisy's memories begin to rapidly disintegrate, but she doesn't even know she's losing them. As if things couldn't get any worse, Daisy learns she is the only one who can save herself.Daisy's very identity is at stake, but the odds aren't in her favor. 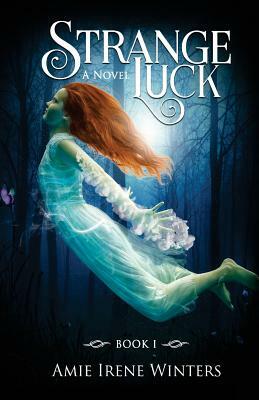 Can she discover the secret to win back her freedom before it's too late?A spine-tingling fantasy, Strange Luck will delight adults, teens, and anyone who relishes fairy tal. "A mysterious letter, a map, and stolen memories—all part of the wonderful new novel, STRANGE LUCK, by Amie Irene Winters. The writing is lyrical, the plot is engaging and full of twists and turns, and I loved Daisy Darling, a strong, intrepid teenager who steps up to the challenge of saving the world in this spooky, supernatural story." ~Penny Warner, Author of the award-winning CODE BUSTERS CLUB series, and DEATH OF A CHOCOLATE CHEATER.